← And they like beer! Every gardener has their favorite tools. Yes, we all have gloves, hat, shovel, trowel and spade. For a few of us the choice of weeding tool can be very tricky. 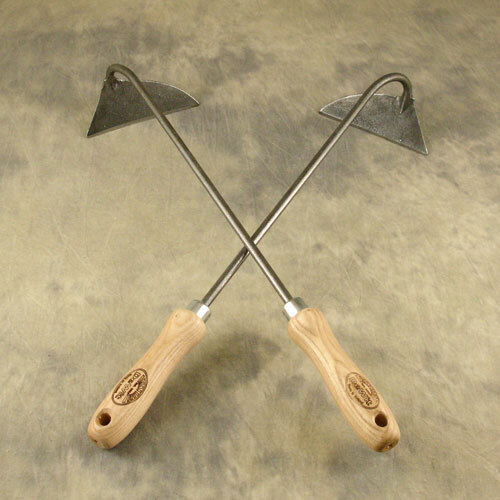 Until recently my all time favorite was the Dutch Hand Hoe by DeWitt. It features a sharp crescent shaped head that my husband sharpens to an edge that can slice through grass and heavy soils. Pull the head just below the surface of the soil or mulch and you can slice through the roots of weeds and pull them right out. According to their website, the DeWitt family has been hand-crafting high quality gardening tools since 1898. The heads are made of high quality Boron steel and the handles are made from sustainable hardwood from government controlled forests. 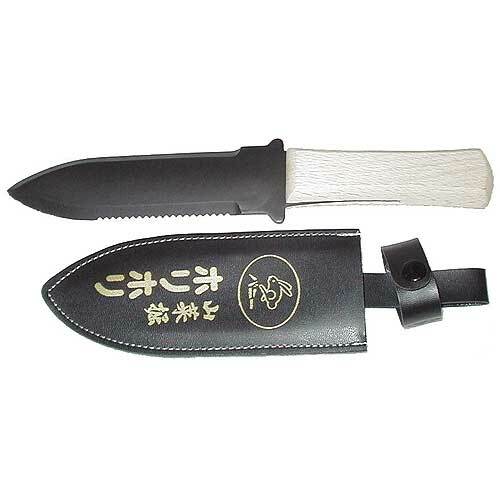 My husband’s favorite weeding tool is the Asian Hori Hori Knife. He’s insistent that the real name is “bunny killer” based on the image of rabbit on the scabbard (no rabbits have actually met their demise from his blade). This foot-long knife weeds, cuts, digs, plants, scrapes and opens compost bags. On one side it has a smooth and a serrated blade. It is great for cutting roots and weeding in tight areas. The Hori Knife even has depth markers for planting bulbs. It comes with a sheath, so you can hook it on your belt for easy access. 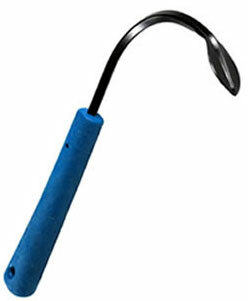 The Hori-Hori digging tool, first implemented in Japan, was originally used for excavating bonzai in the mountains. My new favorite weeder is the CobraHead which is lauded on the company website as “the best tool in earth.” Not to be confused with “the best tool on earth,” who shall remain nameless in this post. I first heard about this tool at a marketing workshop on increasing your creativity. The speaker said his firm had helped CobraHead LLC – a Wisconsin family business – develop their advertising campaign and that he had adopted this tool as his favorite in the course of the ad campaign development. So of course I had to rush out to buy it. This “steel fingernail” weeds, cultivates, scalps, edges, digs, furrows, plants and transplants – even in my heavy clay soil. I’ve even used it to chop up Japanese beetle larvae. It’s light weight, will hang off my wheelbarrow and is easy to resharpen. Best of all the bright blue handle keeps me from losing it in the garden. I am wondering where did you get the Dutch hoe? I found it on Amazon.com sold by DeWit. The price was about $35.